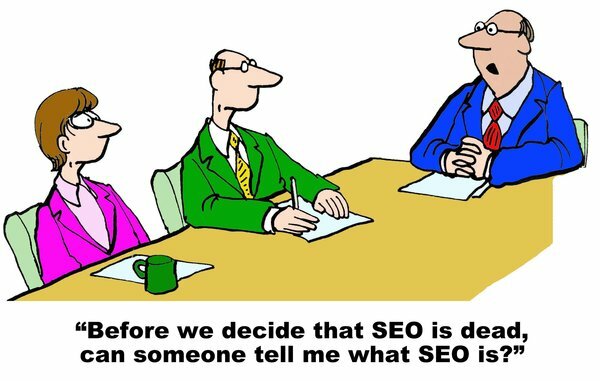 Contrary to the myriad of articles announcing the death of SEO every time Google makes a major change, SEO (search engine optimisation) will become an even more important skill to have in your organisation or via your agencies in the coming year. The speed of change alone means that someone with a high level of experience and expertise needs to be measuring, analysing and adjusting to keep web properties healthy and compliant with changing requirements. Any content marketing strategy must be aligned with the SEO strategy so each of the following will have a substantial impact in both areas. In no particular order here are my predictions. In January Google will begin to add warnings to websites in Chrome that are not using https (secure certificate). This will affect password options and credit card options and will have a bold “Not Secure” notification. This will roll out to all webpages during the year. Websites that are not using https will more than likely see a drop in traffic. …we’re also working to make the Internet safer more broadly. A big part of that is making sure that websites people access from Google are secure. Any site that uses passwords, credit card purchases, registration will begin to see warnings as below. This will of course lead to a fairly dramatic drop in people accessing ecommerce sections initially, then all pages when it rolls out to the entire web (date not disclosed at this stage). I am expecting that there will be quite a lot of SSL site launches followed by a drop in traffic where developers do not take the full requirements seriously. Changing to a secure certificate is a lot more complex than many realise. There is some debate at present about 301 redirects passing all relevant authority signals particularly around anchor text but it would be risky to delay moving to HTTPS because of this one element. It began with the mobile friendly test and update, then came AMP (Accelerated Mobile Pages) which has had variable results and has caused some consternation recently where results have sometimes been less than favourable. Google has a serious commitment to AMP so don’t expect this one to go away. AMP pages can load up to 30 times faster as they have lighter HTML and CSS and are delivered from a cloud based Google cached version. Expect AMP to deliver some strong growth results in 2017. In the next few months Google will move to a mobile first index which means that they will be taking the majority of user experience and technical efficiency signals from the mobile version of a website. If you have a separate mobile site with less content be prepared to see some negative results. If your responsive site is slow or difficult to navigate you will also see some negative change. Speed of page load will continue to be an important element and will become even more crucial with the mobile focus. If the content is different you will need to serve structured data on both versions, check that the mobile site is not blocked via robots.txt. It should not be necessary to make changes to canonical tags. If you have a separate mobile version verify this as well as the desktop version in Search Console. If you just have a desktop site Google will continue to index it (but it may not do well for mobile users). Google is being careful with this major change which is why they are testing it and looking for issues but you can never rule out the possibility of collateral damage with any major change to an incredibly complex algorithm. Google is increasingly leaning toward artificial intelligence so the use of structured data and schema or other microdata will become more important in helping search engines to understand your webpages. There are also a lot of other possible items you can mark up which are listed here. According to Google, voice searches on mobile tripled between 2014 and 2015. Google Assistant is competing with several other virtual assistants including Apple’s Siri, Amazon’s Alexa and Microsoft’s Cortana. Google Home and Amazon Echo are the biggest of the recent intelligent home assistants run through a speaker that can perform a multitude of tasks. The shift away from screens will present some interesting challenges for Google. As their business model is based around inserting ads into screen based results how can they monetise a voice search without being intrusive? Imagine asking a question and being presented with a solution that says “This answer is brought to you by…”. Additionally, an instant answer will not even result in a single page load so content producers will basically be giving content away for free. Google is also heading full speed along the machine learning route with Hummingbird an initial step toward themes instead of specific keywords. Rankbrain is where Google incorporates AI into search. This has taken search further along the track and has increased the importance of optimising for a range of possibilities based around keyword groupings or topics. To impress this further Google has removed access to even more search behaviour data with Keyword Planner availability restricted to Adwords users and some questions over the accuracy of the data. Unplugging this has also led to failure of many tools so developers are pivoting to new ways of analysing search data to at least predict content performance. Watch this space in 2017 as the top tools attempt to circumvent this change. Ignoring the high level of technical optimisation that is required in 2017 is no longer an option. Technical expertise will make the difference between poor or outstanding results. Consistent auditing and analysis has become an essential feature of any web marketing strategy. The speed of change at the major platforms has grown this requirement significantly and Google’s constant war against manipulation has caused a fair amount of collateral damage. 2017 is definitely the time to look closely at your technical SEO expertise. Starting with your server configuration and working through content optimisation, metadata, microdata, pagespeed, mobile optimisation, AMPs, schema and much more with a focus on improved UX and efficiency while eliminating any errors. This needs to be a priority. Influencer Marketing is one of the biggest buzzwords of 2016 and you can expect the intensity to increase in 2017. It can be an extremely effective way to promote content and brand. However, as with all “new” strategies you can expect this one to assault your inbox to an irritating degree if you have any sort of online profile as more and more marketers read the growth case studies and jump on board. 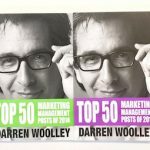 Be prepared for an avalanche of well written, personalised but templated emails that compliment your posts and your website followed by “… I thought you might be interested in this new post…” and “…would love it if you could let me know what you think…” and so on. The fever pitch in late 2016 has got so crazy that almost anyone can be a prospect. Expect a strong push back on this tactic. This has been a quick look at what I consider to be the big issues in SEO for 2017. And to be honest, if you have any sort of digital marketing strategy that does not recognise the importance of SEO then you are missing out. Expect the content marketing arena to become even more crowded as the number of participants increases exponentially so being technically efficient and checking all the requirement boxes will help you to stand out. The necessity for outstanding and unique content has been the case for some time now and you can expect this to continue to be the case – but even more so. 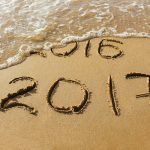 The coming year will no doubt offer a number of new innovations, launches and updates and at the same time we will see the quiet retirement of some big services that have not reached expectation. Struggling with the complexity that digital and data offer to business? Let TrinityP3 make sense of the new digital ecosystem for you.